On 9th May, 2013, TeknoMaccaferri inaugurated a new manufacturing plant in Duzce, Turkey; aresult of the joint venture between Maccaferri and their Turkish partner company Tekno. 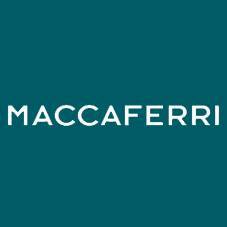 Turkey isnot only a thriving market, but it also represents the continued growth of the Officine MaccaferriGroup and emphasizes the strategy of the Bologna, Italy, based company, to expand into newmarkets. Maccaferri’s Joint Venture partner in Turkey, Tekno, is a large industrial group, operating innumerous sectors with a turnover of over $US100M. The TeknoMaccaferri factory will satisfy thegrowing demand from the Turkish market, as well as act as a strategic bridge for the development ofMaccaferri solutions into emerging markets in the region. The inauguration event was attended by shareholders and executives of the Maccaferri IndustrialGroup, The Tekno Industrial Group, as well as the Turkish Ministry of Industry and the ItalianAmbassador in Ankara. On the 14th of May, the 8.00am edition of the TG5 Italian News broadcasted a report on thecompany and the inauguration of the new plant, highlighting its values, experience, innovation andexpertise, labeling it a successful example of ‘Made in Italy’. Alessandro Maccaferri, President ofOfficine Maccaferri, underlined that the ongoing success of the company is based on thecombination of high quality engineered solutions and excellent technical support.